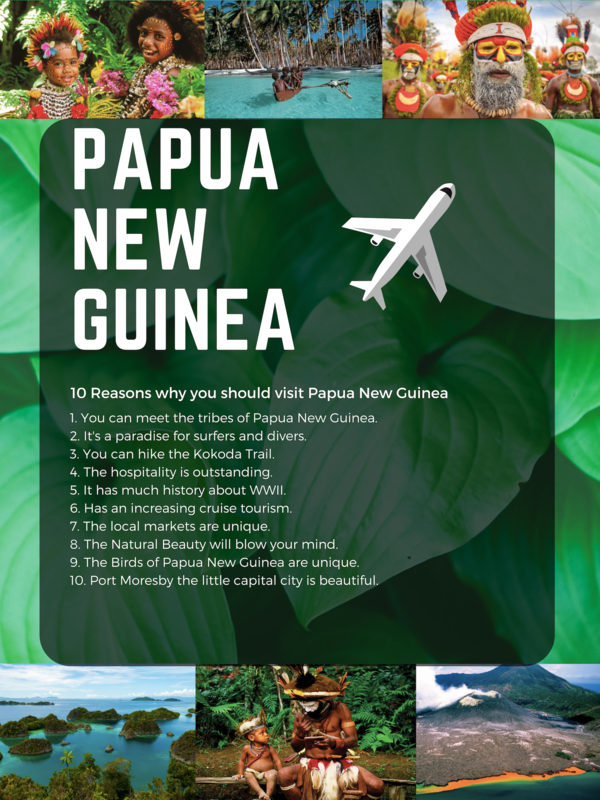 I was to design a poster for Papua, New Guinea. I wanted to keep it compatible with the brochure design wise. I just listed reasons to vacation there.